Its name recognises a special, local bird, which has a distinctive booming call. 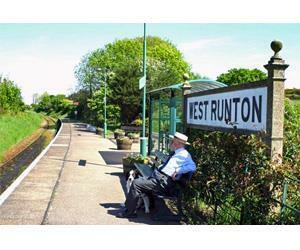 The local railway company operates a regular, almost hourly service along the route (less frequent on Sundays) which has been nationally described as ""one of the most picturesque lines in the country. Open all day, call 0845 600 7245 or visit www.bitternline.com for schedules. Day Ranger Fare is £10. This is also valid on the Coasthopper bus from Sheringham to Hunstanton and stops in between.